Sometimes the reality with have to shop on a budget, so if you are looking for the best programmable thermostat under $50 read on we have got you covered! There are a number of benefits of a programmable thermostat so there is every reason to invest in one for your home. Even with a small investment, you can take advantage of most of the benefits that come with a programmable thermostat. Along with reaping the benefits yourself by having a digital thermostat, you can also help do your bit for the environment. Now that you are comforted by the fact that you are helping yourself and also helping the planet, let’s get into finding the best programmable thermostat for under $50. The Honeywell RTH636OD1002 is a pretty slick looking thermostat with good function and performance. It also comes with useful features and is a great option for the price range. 5-2 scheduling gives you the ability to set 1 schedule for during the week and another schedule for the weekends which is great given the hugely varied activities taking place during the 2 time periods. If this isn’t required you can still just programme all 7 days at once. 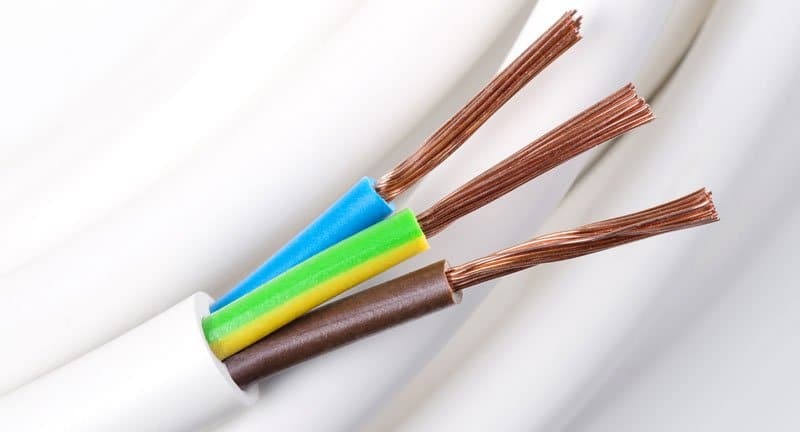 Common with many cheaper products is the problem where if there is a power outage, of the power, is disconnected, your previous settings are forgotten and you need to re-programme everything. Luckily with this Honeywell thermostat, it’s not the case. If there are power outages, your settings are stored and recalled for when the power comes on. Sometimes installation of thermostats can be complicated especially for those not DIY inclined, but according to many purchasers, this particular thermostat is easy to install with good instructions on how to do so, even for beginners. This thermostat has a heat/cool changeover which makes things easy all year round and enables keeping a more consistent temperature. A bit of a criticism, as some other Honeywell models have this feature, is that you can only set an exact temperature for the thermostat to work to. In other models, you could set a range of up to 3 degrees. The beauty of doing that is that it was easier for the temperature to be maintained to 3 or so degrees which means less turning on and off, which then means more savings. Working to a set temperature will obviously cause your heater/cooler to turn on and off more to maintain that exact temperature. Unfortunately, this particular thermostat is not compatible with baseboard heaters 120-240V so if you are looking for a thermostat to accompany your baseboard heater, this is not for you. Probably the best programmable thermostat under $50 or at least the highest rated the Honeywell RTH6450D1009 is a very solid choice if you are looking for a no-frills thermostat. Though it’s not without its problems, it is probably the pick of the bunch. The unit has backlighting to help you see what is on the screen in the dark. It serves as a necessary function but also many have enjoyed the extra light in the room at nights. In order to prevent your heating/cooling unit from cycling the thermostat has a plus/minus setting which allows you to set an approximate temperature to a few degrees rather than an exact temperature. The will help immensely with those energy savings. Most purchasers all agreed that the installation of this unit was easy, and even most people who are not DIY inclined would still be able to install with the help of the instructions. This unit is able to switch between cool and heat which means you are able to set and forget. Probably one of the most common criticisms of this particular thermostat was that the temperature displayed was sometimes a few degrees off. It doesn’t make a lot of sense, but unfortunately, the thermostat needs AA batteries to function. Although the batteries are easy enough to change, it is an unnecessary evil. Although the thermostat has an automatic heat/cool function it is not initially obvious how to use. How to use this function is not documented in the manual, and has caused some people to give poor reviews as they hadn’t figured out how to use this function. It DOES have the function, but you will need to play around to figure it out yourself. Not necessarily a bad thing, but this thermostat has a 5-1-1 scheduling. Some purchasers preferred to have an everyday schedule, but many thermostats around this price range will have similar functionality. Probably the most sought-after feature with the LuxPro PSP511LC thermostat is the fact it has a temperature setting swing of 3 degrees which is much larger than the other thermostats in this price bracket. This enables your heating or cooling to stay on or off longer and not cycle (turn on and off) often, therefore saving you more. It does lack a few features some of the other thermostats have however. A feature you might find on more expensive thermostats but a very important one for some people, a 3-degree temperature swing can make a noticeable difference in your savings. Effectively it means that your unit will be turning off and on less, which obviously using less energy. Like a few other of the thermostats listed, the LuxPro enables you to not only schedule a programme for the week and the weekend but also for 4 different parts of the day. With this thermostat you are able to programme for your weekly routine along with your weekend one as well, giving you some flexibility. Unlike some of the other thermostats listed, to switch between heating and cooling you will need to do this manually, this unit will not do that for you automatically. Not unlike the thermostats listed above, but still an inconvenience, the LuxPRO relies on AA batteries to power it. Again, much like some of the other thermostats, the lighting is not on all the time which makes things at night a pain to find and also means you need to press a button for the light to show up. Another common criticism of this unit is the fact that it only shows the current temperature and not the desired temperature on the screen. You are able to see the desired temperature with a few button presses but it is not part of the default display on the unit. There is a whole lot to like about this wee product considering its price. The biggest consideration for this product is the fact the temperature taken and displayed is actually taken from the remote control and not form the wall unit, so this is something to consider. This can be a positive or a negative depending on your preference, but the majority of consumers seem to like this feature. Often the temperature of the thermostat is recorded at the unit itself, however, as above, the temperature is recorded at the remote control which means you are able to move the point of reference around. This gives you a whole lot of flexibility in terms of your ideal placement. Often an issue with the lower priced thermostats is the fact they do not measure the temperature that accurately. Many purchasers of this product commented on the fact that this thermostat does provide accurate measurements. Given that this is the whole purpose of a thermostat, this is a big tick as far as this unit goes. Can be used in heating and cooling modes which makes things great for all year round, consistent temperatures. A number of purchasers found it difficult to be able to pair up multiple devices. Unfortunately, at this price range, you are not going to get the highest quality product, and this is no different. The quality of the unit has been said to look and feel cheaply made but given the feedback, the quality of the product for the price is more than adequate. Probably a biggy, but this product is not UL Listed, which means that it has not been through the rigorous safety testing other products may have been through. If safety is paramount to your decision this is worth considering. Unfortunately, the plug itself is quite big so it may end up blocking some of your other outlets. The Honeywell RTH6350 5-2 is a reasonable thermostat and does its job relatively well, but it’s not without its problems. It still has pretty favorable ratings from purchasers but there are a few things you will want to know before purchasing. With this thermostat, you are able to programme a weekly and a weekend schedule which is great for those with variable schedules. This thermostat allows settings for wake, leave, return and sleep giving you great flexibility and control over your heating schedule. While it may not be as large a variation as some other thermostats, it does offer +/_ 1-degree flexibility when programming a temperature. A useful feature of this particular thermostat is its ability to display the current and also the desired temperature. Like some other models of Honeywell thermostats, there were a few people who had issues with the ‘smart’ feature of the thermostat, preferring to turn this off altogether. A common complaint a number of people had with this unit was the backlighting was not great. It was also mentioned that in order for the backlighting to show a button needed to be pressed which makes it a bit more difficult to find the unit in the dark. A big consideration before you buy, this particular unit does not have an automatic switch between heat & cool, so if you are looking for that feature, this is not for you. A complaint that came up a wee bit is that this unit makes a loud clicking noise when cycling and it was loud enough to bother people to complain about it. The unit is battery operated, and as purchaser pointed out if you are away for long periods, but still need the house to heat, there is the possibility the unit could run out of batteries and therefore not work during that period. One of the most fundamental things to consider before you purchase a thermostat is whether your heating or cooling system is compatible with the thermostat. Not all thermostats work with all heating systems so before you buy be sure to check out whether there is compatibility. Obviously different thermostats have different features and settings which work in different ways. For example, some thermostats offer a higher temperature swing. This may be extremely important to you as you may not want your system turning on and off frequently, therefore this would be a feature to seek out. Another example is a nightlight on the unit itself. You may want a unit that always has a light on so you can find it easily at nights. Again not all thermostats have this feature. Be sure to consider which features are important to you and research which particular models have which. Installation is another consideration to make before purchasing. Most non-smart thermostats are relatively easy to install for someone with moderate DIY skills, however, this can also depend on the instructions that come with the unit. If you are considering a smart thermostat then things get a little bit trickier. If you are not confident then you may need a professional to help you with installation. Read reviews on the product as they will often tell you how hard the installation is. Usually, if the installation is difficult, people will certainly complain about it and likewise, if the installation was easy people will mention that. Along with installation if you are unsure about the wiring of your home and thermostat you may want to consult a professional. Your daily schedule will likely be a factor when considering a programmable thermostat. If you have a consistent weekday and different, but relative consistent weekend the 5-2 programmable thermostat might work great for you. If your schedule tends to be different every day, then you might want something a bit more flexible. This also goes for weekends. Should your weekend days vary considerably, a 5-1-1 thermostat may work better for you. Be aware of your timetable and find a programmable thermostat with features to suit. If you have a zoned heating setup then things might get a little more complicated. You may need a thermostat for each zone, or you may need to do a bit of wiring to have everything run from the one thermostat (in the case of smart thermostats). Understand how your home is set up and then you can determine the best solution, and the best thermostat to fit that solution. There are a number of different reasons you might want to get a programmable thermostat. If you might be sitting on the fence, read below to find out what some of the benefits are from owning a programmable thermostat. According to Thermostat Center programmable thermostats can potentially save you in excess of 15% of your power bill and some models have been said to save up to 20%. So if you are spending $2000 a year on your heating and cooling you could save up to $300-$400 by installing a programmable thermostat. Let’s face it, manually changing the temperature on your heating and cooling system is not only inefficient, it is a pain in the a**. The thing is, with a programmable thermostat, you can still do that, however, 95% of the grunt work is taken away by automating things. Especially with smart thermostats, but we will cover them below. If your HVAC system is consistently cycling on and off, it is going to cause extra wear and tear on the system. By reducing this workload you help to reduce maintenance and repair bills and will likely extend the life of your HVAC system by reducing its workload. Going on holiday for a few days in winter? There are many situations you may want this feature. Want to come home to a warm house each day? Or wake up to a warm room? These are some of the extremely useful benefits you get with a programmable thermostat. Nearly 2/3 of American homes have air-conditioners and that accounts for 117 million metric tonnes of carbon dioxide released into the atmosphere each year. By using your HVAC unit more efficiently, albeit small, you can help do your part in reducing unnecessary Co2. Below you will find some of the key features to consider and that you will find on programmable thermostats under $50. Other features may be found but we think these are the some of the most important to think about before buying. As mentioned above this will determine how many days you can schedule a different heating/cooling plan. Generally, at this price range, you will be looking at 5-2 or 5-1-1. Some thermostats will not alternate between heating and cooling automatically so be aware of this before you buy. Again, not all thermostats at this price range have this, but a temperature swing more than .5 of a degree will give your heating / cooling system a bit more leeway and will not turn on and off as often saving you more on energy bills. The displays at this price range can be fickle. Some do not stay on, some are dim, some only work once you press a button. Though it might be a minor inconvenience to some, for others it can be a deal breaker. Be sure to search reviews for information about the thermostats display. What do more expensive thermostats offer? If you are here you are probably looking for a cheap thermostat, but it also worth considering what a few extra bucks might get you. Ultimately a more effective and efficient thermostat may be able to get your more savings which means more savings in the long run. So what are the best thermostats on the market? Well, there are a number of brands offering high quality, highly feature packed thermostats. Honeywell, Nest, Emerson, and Bosch all offer great modern smart thermostats. Probably the thermostats with the most buzz around them are the Nest Learning Thermostat and the Ecobee range. Let’s have a look at some of the features that you might find on these thermostats that might be beneficial. Bearing in mind, they are approximately 4 times the price, but potentially more efficient they could be work considering in the long run. A convenience bonus, some thermostats work with Amazon Alex giving you the ability to control settings and set timers by voice control. The Ecobee claims you can save up to 23% on heating and cooling by using their product. Room sensors help detect warm and cold spots in your room, helping deliver more comfort in your rooms. They can support other accessories such as humidifiers, dehumidifiers, ventilators, HRV and more, washing machines, dryers all sorts of smart machines. Not only that some can help get attention in case of emergencies. This is a really handy feature. Do you have a change of plans? No problem, just jump on your phone and adjust things accordingly, from anywhere! If you have forgotten to adjust your settings, the thermostats can automatically detect if someone is home and kick into gear your programmed settings. Although some of the cheaper thermostats have this feature, they are on different levels of sophistication. 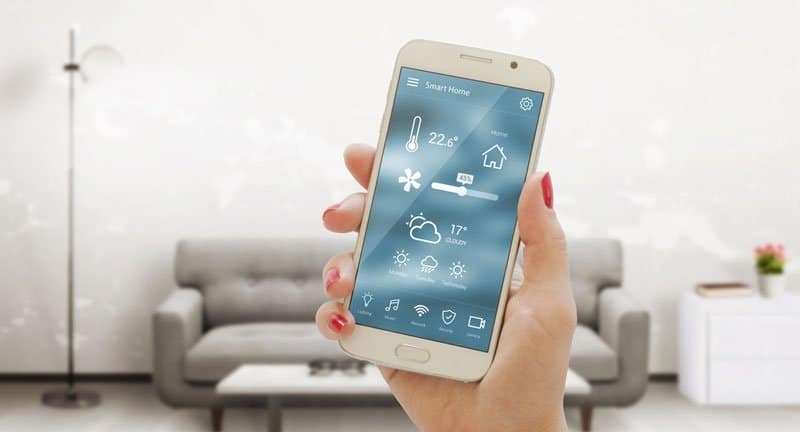 The more modern thermostats are able to learn your patterns and your optimal temperature very quickly and automatically adjust temperatures to suit with very little programming at all. A cool feature that gives you a report so which can help you see where and how you are using your energy the most. When you enter an area within a given range (outside of the house) the thermostats can automatically turn on saving you time and setting you up for a comfortable home when your return. Alternatively, the unit can turn off the heating-cooling when you hit that range saving you power and energy costs. There are certainly other features and benefits depending on the model you choose at higher prices. Little things like bright displays, smart displays, and ease of programming use that may be lacking in older or cheaper thermostats are not in these more expensive ones. Whether this suits your current situation is up to you!